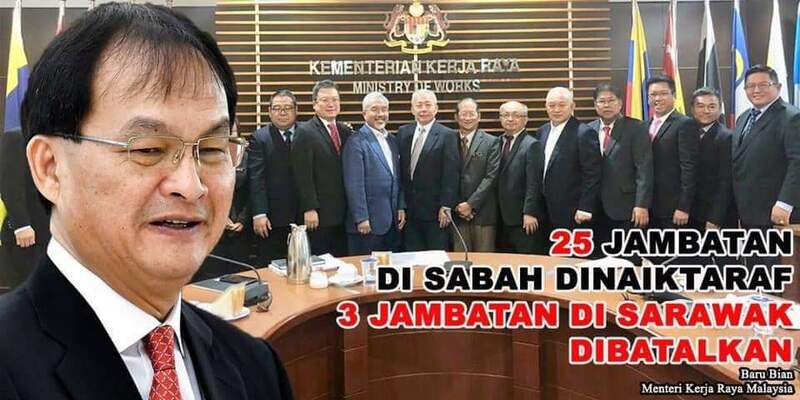 Works Minister Baru Bian has pledged to do his level best to upgrade 25 bridges in Sabah in the next two years to allow heavier load for lorries and trailers, which in turn would reduce logistics and living costs in the State. With the arrangement of Baru’s Special Officer Dr Roland Chia and Private Secretary to the late Minister of Health and People’s Wellbeing, Amanda Yeo, the Federation of Sabah Lorry Transportation Associations president Steven Chua Pui Ming has led his committee to call on the minister on April 10 to reflect issues regarding the Permissible Laden Weight, or Berat Dengan Muatan (BDM), in the State. Chua said whenever huge BDM difference between Sabah and West Malaysia was brought up to the relevant authority, operators were told the reason was that the structure of the 25 bridges in Sabah could not withstand heavier weight. As such, he said the mission of the courtesy call to Baru was to request for the 25 bridges to be upgraded as soon as possible in order to increase the BDM in Sabah to be on par with West Malaysia. 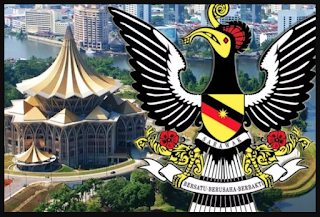 He said lorry transporters in Sabah have been operating under lower BDM for 55 years, which has caused the living costs here to be at least 30 per cent more expensive than Peninsular. “When the barter trade is revived, foreign lorries with over 50 tonnes in BDM will be entering Sabah. In the meeting with Baru, Chua also said that the international regulations have limited the maximum cargo weight for a 40-foot container to 32 tonnes. Coupled with the weight of lorry at about 16,500 kilogrammes (kg), the total weight of the vehicle and load would be approximately 48,500 kg. In other words, he said lorry transporters in Sabah have been exceeding the BDM. He said the BDM for Sabah, Sarawak and West Malaysia used to be the same years ago. However, he said the weight limit for Sabah and Sarawak have never been increased since the formation of the Federation of Malaysia, while the BDM in West Malaysia has been raised multiple times over the years. At present, he said the BDM in West Malaysia was 53 tonnes, while Sabah remained at 38 tonnes. Chua said it was discussed in the meeting that the existing structure of the bridges would need to be upgraded in order to withstand higher BDM. When asked how long do Sabah operators have to wait, Chua revealed that Baru has said the best way was to start upgrading the bridges and construction was expected to take about two years. On the other hand, Chua also suggested to the minister to create rest stops and petrol stations along Pan Borneo Highway. He said the rest stops would provide drivers with a comfortable area to take a break, as well as reduce road hazards as drivers would not need to park their lorries and trailers by the roadside. Also present was Malaysia Public Works Department’s director for road and bridge engineering, Dato’ Ir Hj Che Noor Azeman.